Imagine a group of children working together as a determined, focused team to reach a goal. In the process, they learn to celebrate their own unique strengths, and those of their peers. Each individual child will experience success, build skills, gain self-confidence, and create friendships that will last a lifetime! 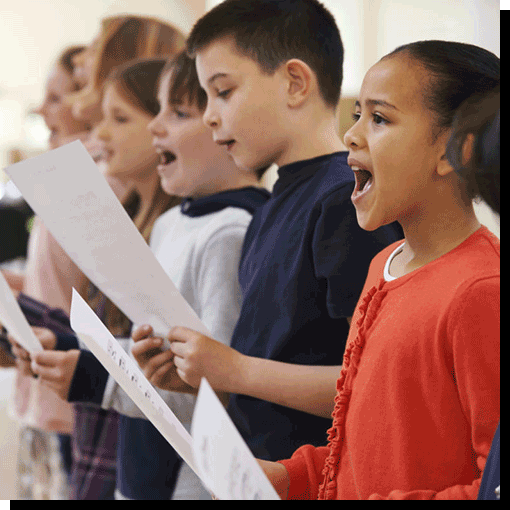 ARTSies provides musical theatre education and exciting performance opportunities for children in grades one through high school. Each 11-week session culminates in a performance of a musical theatre production chosen specifically for the group, with the objective to provide EVERY student the opportunity to SHINE! Whether you are experienced in the performing arts, or have never tried anything like this before, there is a place for you in our ARTSies community! ARTSies is designed to address these concerns. Our goal is to provide top-notch arts education in a FUN, inclusive environment — a community where all involved feel safe, accepted, and confident! Our approach fosters the development of many life skills, such as creative thinking, perseverance, social connections, leadership, risk-taking, teamwork, focus and self-regulation. These valuable skills will serve our students in any future endeavour. Whether you are serious about this field as a career, or simply want to try something new, there is a place for you here! And, once you’re an ARTSie, you will always be an ARTSie! Theatre camp sessions are two weeks in length- filled with singing, acting, dancing, friends, and fun! Each session wraps up with an amazing final performance, and each session is a DIFFERENT show! Our original programs cater to Juniors, Intermediates and Teens. Each 11 week session finishes in an amazing Musical Theatre Performance! Every PA Day, we focus on content from a different Musical. Scene work, music, choreography, friends, and lots of fun… students can enjoy a new experience each time! 30-minute and 1-hour classes to improve vocal and dance techniques and get your ARTSie stage ready! Do you know a 3-5 year old who LOVES to move and groove? This class will have them exploring creativity, imagination, characters, making friends, and having FUN!